Choose the right mounting board for your WRC Discrete I/O Modules from the table below. Mounting options include the traditional panel mount swaged stand-off, as well as the convenient DIN-rail mounting board. Links are to individual catalog pages in pdf format. These pages include specifications, schematics and dimensional drawings. 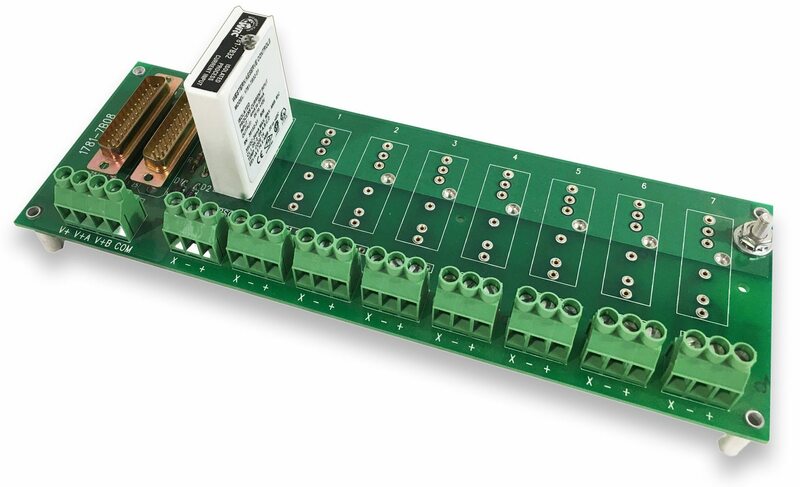 Choose the logic-side connection to meet your application from card-edge connector, 50-conductor header connector, or terminal screw for point-to-point wiring.